Norovirus: Only 25% of All Norovirus Cases Linked to Food Borne Sources – Remains Cause of Nearly 50% of all Food Borne Outbreaks in U.S.
Norovirus is one of the most easily spread pathogens, and though it is often associated with contaminated food or water, it is also readily acquired through contact with a person infected with Norovirus or by touching surfaces that have been recently infected. In fact, there are an estimated 21 million cases of Norovirus in the U.S. annually – it has become so common in American life that it often goes by the name of “stomach virus.” But according to CDC estimates, only about 25% of all Norovirus outbreaks are linked to Norovirus in food. The key to understanding how easy Norovirus is to spread comes in understanding two elements of the virus: first, Norovirus is so exceptionally hardy that is can survive for days or weeks on many different surfaces, including clothing; and secondly, Norovirus can infect a person who has ingested even a microscopic amount. In fact, it is so easily spread that even though most cases are not eventually associated with an outbreak cluster, it remains the number one cause of reported outbreaks of gastroenteritis, or inflammation of the stomach and intestines that is associated with vomiting, diarrhea, and stomach cramps. Norovirus is seasonal, however, and though Norovirus infections can occur at any time, in reality about 80% of all Norovirus outbreaks in the U.S. happen in the winter and early spring months, from November to April. And new strains of Norovirus are often not uncommon. During the winter of 2006/2007 Norovirus Minerva strain was a new and particularly active strain. Then, in 2009, Norovirus New Orleans appeared, followed in 2012 by Norovirus Sydney. Norovirus Sydney remains the dominant strain in the United States at present. New strains often precede a spike in the number of reported cases. Many Outbreaks Hit Confined Locations: Schools, Ships, Hospitals . . .
Ironically, Norovirus is also common in some of most heavily guarded places on earth – such as U.S. military bases in locations like Iraq. Between 2002 and 2007, U.S. Marines who were deployed as part of Operation Iraqi Freedom commonly acquired Norovirus. In many instances, dorm rooms, classrooms, medical facilities, and even military barracks (or portions thereof) need to be temporarily closed and completely cleansed to stop the spread. Although food accounts for only a quarter of all Norovirus outbreaks, in terms of the number of ill persons each year, this could still be millions. Every year Norovirus outbreaks are linked to restaurants and cafeterias, especially when food is served buffet style. 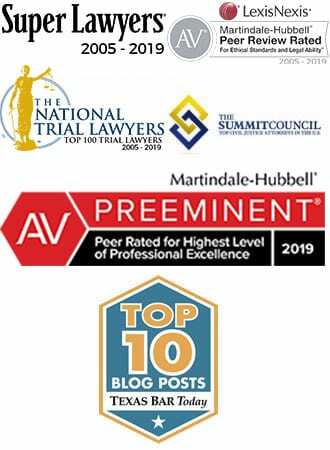 Norovirus, though not as well known as the leading bacterial cause of food poisoning, Salmonella, is in fact the leading cause of foodborne outbreaks in the United States. Roughly 50% of the CDC investigated food borne illness outbreaks from 2006 to 2010 were attributed to Norovirus. When the Norovirus is introduced by the food, it is usually on food that is eaten raw, such as produce or fruit. But even in most restaurant-centered outbreaks of Norovirus, the virus is not usually traced to a particular food item, but to an infected person, often an employee, who infects the food preparation and serving facility. In the final report issued by lead health agency in Wyoming, in 2012, the source of the Norovirus outbreak at a Golden Corral in Casper, Wyoming, was determined to include at least 31 sick employees who had continued to work while ill. In the days and weeks after the first reported case, on December 7th, at least 282 customers became infected. These consumers went home and further spread the virus until at least 344 victims were identified. But perhaps the most widely publicized Norovirus outbreaks have taken place on cruise ships. About 9 in 10 of all gastrointestinal outbreaks on cruise ships are attributed to Norovirus, which spread quickly given the confined living quarters, shared activities and dining areas, and the sheer number of passengers that may pass through a ship in a single month. One infected passenger (whether infected before boarding or during one of the many stops in port cities, often in third world nations) can infect a ship for many months if the ship is not adequately and completely cleansed. Even then, infected crew can carry the virus from one voyage to another, leading to back to back outbreaks. Not only does Norovirus live so well on many surfaces, but it is also resistant to many common disinfectants. Most cases of Norovirus are cases where individuals pick up the virus from contact with dirty door knobs, public restrooms, or children acquiring the virus on playgrounds at school or play. The best solution is to practice good personal hygiene to prevent catching Norovirus. But when a restaurant fails to prevent sick workers from coming to work, or when food is produced in manner that allows it to become contaminated with feces, innocent consumers can become ill. 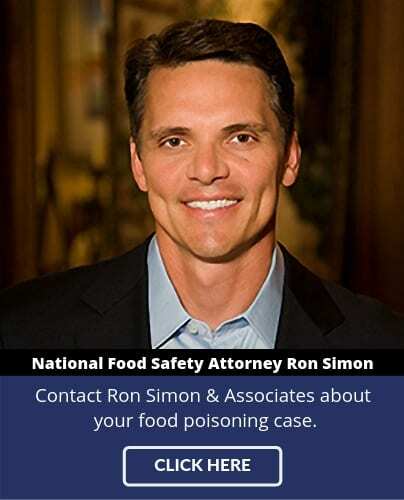 In these cases, especially in outbreaks in which many of the customers were made ill, the law allows food poisoning lawyers, like Ron Simon, to assist the victims in recovering their lost wages, money paid for medical treatment, and for pain and suffering. “When a customer sits down to eat a meal,” explains Simon, “there is an unspoken promise that the food is safe to eat.” When the food is not safe, such as in one of the more recent restaurant centered-outbreaks, like Colonial Diner in New Jersey, Bob’s Taco Station in Fort Bend County, Texas, or the Firefly Kitchen and Tapas Bar in Las Vegas, the innocent consumers have a right to be compensated.